TWO CARS ON FIRE AFTER ACCIDENT ON BKE LAST NIGHT! You are at:Home»Featured»TWO CARS ON FIRE AFTER ACCIDENT ON BKE LAST NIGHT! An accident occurred last night along BKE involving three vehicles. 4 among the passengers were injured and send to the hospital. 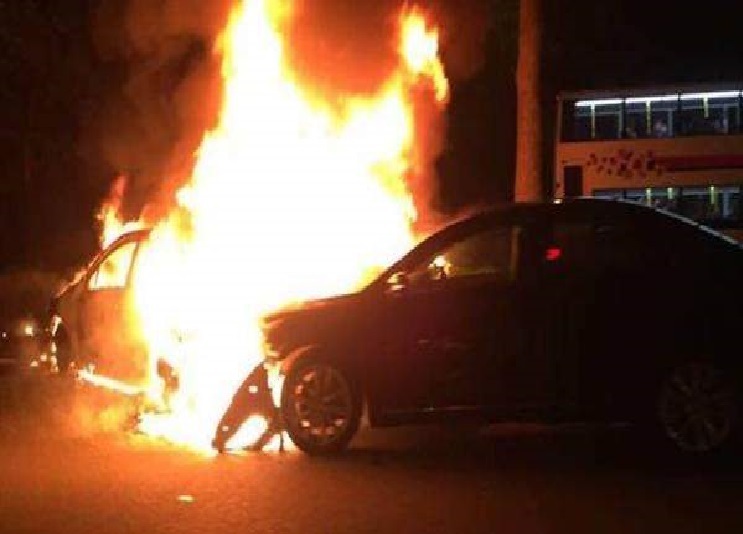 Around 10.04pm, SCDF received reports of the incident and was dispatched to put out the fire for two of the vehicles. Among the four, two were sent to Ng Teng Fong Hospital, while the other two to NUH. Currently. there are no updates on whether the four sustained and serious injuries. Previous ArticleLOOKING FOR OWNER OF GOLD WEDDING RING. SHARE AND FIND! Next Article SCOOT PROMO GO TO ATHENS FROM SGD$268! WOW!